So we all know that fossil skeletons are rarely found 100% intact. This is especially true for larger animals for a number of reasons, from scavenging to paleoerosion to roots to modern weathering. Even with the mighty tyrannosaurs this is true: Sue? Missing bits. Ivan? even less complete. Sir William? The dozens of shed tyrannosaur teeth at the site might be a hint where lots of the parts went. Yum. 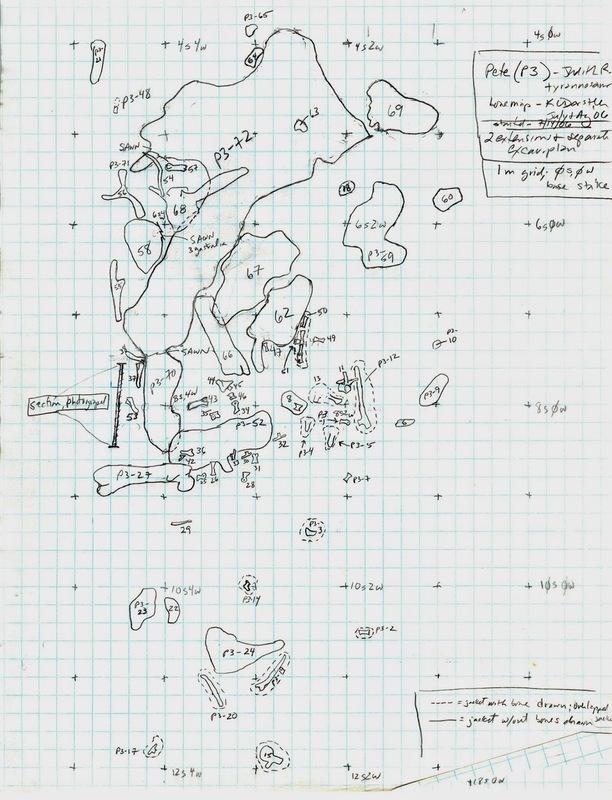 During excavation of Pete III, the TPI field crews kept careful records to document the site properly (as all paleontologists should, I don't care if you're academic or commercial). As we excavated and uncovered bones, they were assigned field inventory numbers, recorded and were mapped to scale. It quickly became apparent that there were only enough leg elements for one. The other one was gone, but where did it end up? Microstratigraphy along with the mapping provided a possible answer. 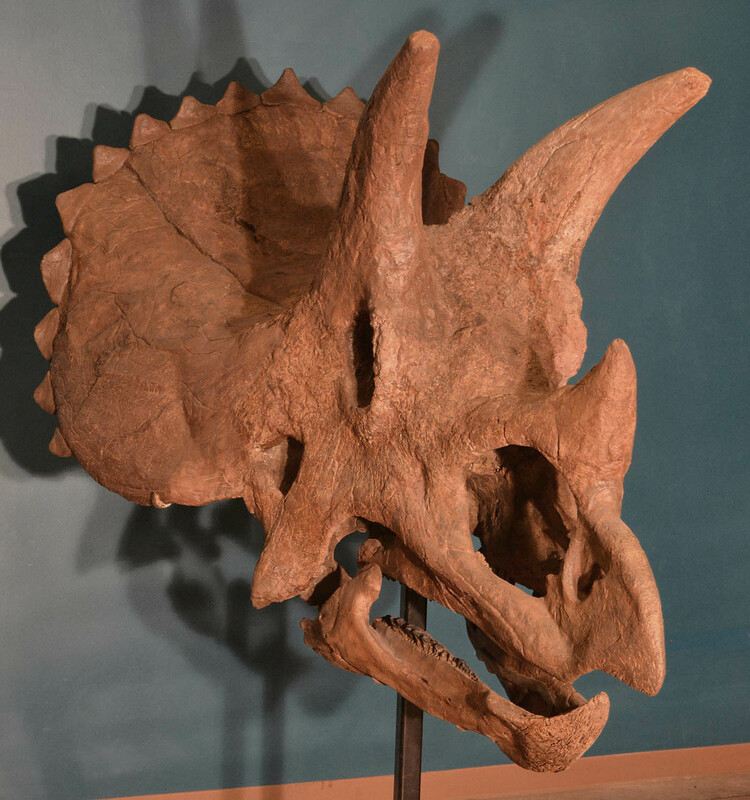 The sediment indicated that Pete III was located in a crevasse splay deposit. These deposits are formed when a natural levee breaks, squirting water and sediment over the adjacent floodplain. It's like a geological zit. 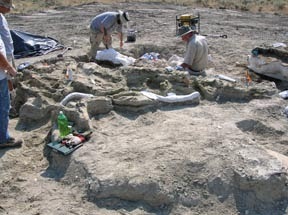 This particular rupture apparently contained a Daspletosaurus in early stages of decomposition, where the bones were still articulated and loosely held together, though some were washed further on. Unfortunately, we think that's where the right leg ended up. We were 75 million years too late. So what can we do? A one legged Daspletosaurus mount looks stupid. In the old days we would sit down with some material, a ruler and our eyeballs and sculpt the mirror image by hand. Luckily we don't live in the stone age anymore and instead we have computers and lasers and hot plastic. Project layout. Pete's skull will be about 1.8x the size of the cast on the table. 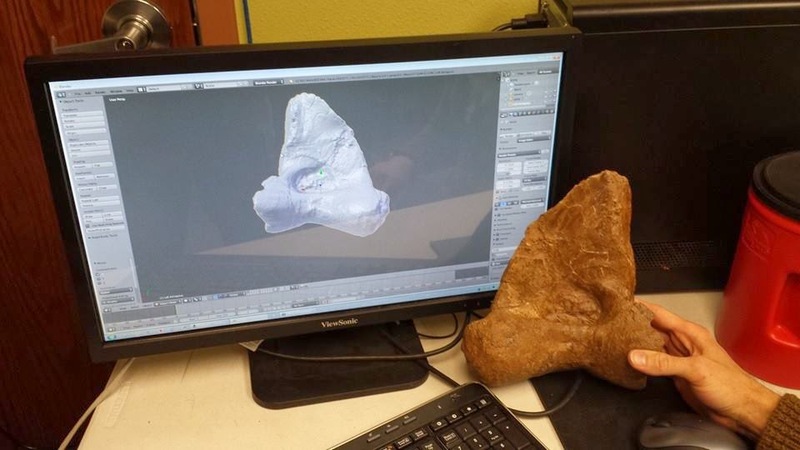 We were missing one phalanx completely, so we laser scanned one from our Albertosaurus cast, blew it up to size, and then printed it. The entire right foot was scanned from the left, mirror imaged in the computer and then printed in full scale. 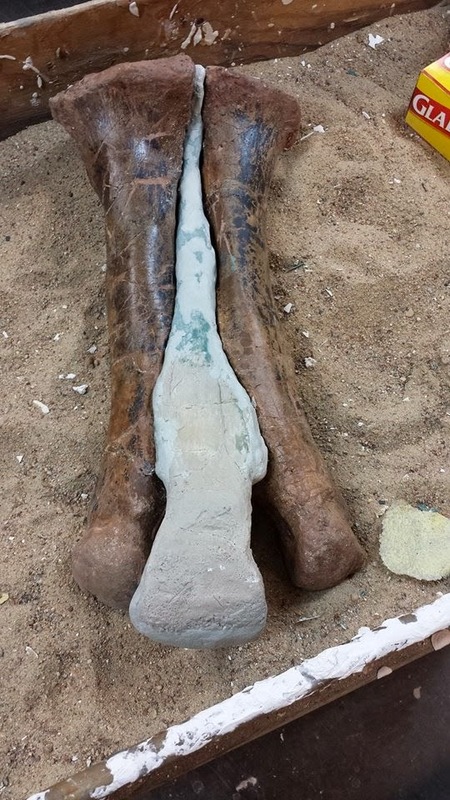 We're still in the process of scanning the femur, tibia and fibula, but instead of printing them (which would take a lot of time) we are sending the files to someone with a 5 axis CNC router to carve them for us. Work smarter, not harder! What scanning equipment do you guys use? Various depending ont he size of the object. Desktop NextEngine for small things, handheld Creoform for the bigger stuff. Kinect is proving to be useful as well sometimes.